New Year brings in new resolutions, new trends and a new approach. This new trend is seen across all the industries and how the recruitment industry can be behind. 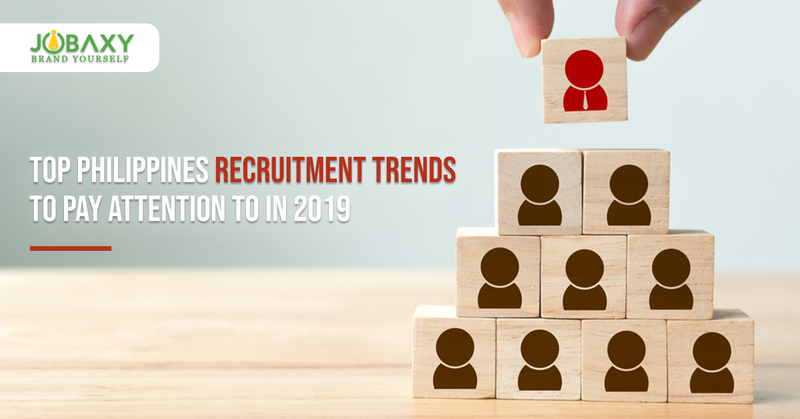 So for successful recruitment in 2019, you need to accept and implement the newest recruitment trends of 2019. The recruitment is seeing a major shift in gears. 2019 seems to be the candidate-driven year. The candidates today have far more power in the recruitment process than earlier. This is the basic theory that governs the job hiring process in the New Year. We have compiled all the top recruiting trends for 2019 that surely will help you in hiring the best of the best talent. 1. Recruitment Marketing – As the name suggests the recruitment marketing is nothing but using marketing methods and tactics to attract the talent to your organization. The companies that follow this latest trend will attract talent first. The main motto of recruitment marketing is to follow the latest trends and design solutions to best overcome these challenges of recruitment trends of 2018. 2. Inbound Recruiting – Inbound recruiting means continuously and proactively attracting the talent and making them choose you as the next employer. The goal here is to attract, and engage the candidates and convert them into possible applicants. As mentioned earlier, this year is the candidate’s year and hence there is a change from outbound to inbound recruiting. Looking for a long-term solution to advance your hiring strategies, inbound recruitment is the best. 3. Employer Brand – Employer branding is one of the most essential components to attract the job aspirants. The term employer brand describes the reputation and popularity of the organization, its employee value proposition and value proposition to customers. The employer branding is one of the top recruitment trends of 2019 as the job seekers research about the company’s reputation and employer brand before applying. 4. Candidate Experience – As 2019 is the year for candidates, the candidate experience matters a lot for the reputation of your recruitment process. It is based on the candidate’s experience during the total recruitment process, from applying to screening to interviewing to hiring and finally joining. The candidate experience is important because the candidates who have had a positive experience in your recruiting process will likely accept the job offer if given, if not selected will reapply and also will refer other candidates to your company. Whereas if the candidate has a bad experience of the process will certainly not accept the job offer and will spread the bad word among others. 5. Candidate Relationship Management – Candidate relationship management (CRM) is a technique used for managing and improving the relationships with the current and future potential candidates. Again this has become an important aspect of recruitment as it helps in talent attraction and finally acquisition. 6. Talent Pool – These days the organization maintains a talent database where the HR managers and recruiter maintain a record of their entire top job candidates. It not only has candidates that have applied but also the referred and sourced candidates and the candidates who have enthusiastically joined your pool. The talent pool formation is important as picking the right candidate from there for any job opening becomes easy. Hence many recruiters have started building a high-quality database for their current and future needs. 7. Social Media Recruitment – Social media recruitment is using social media like FaceBook, Twitter, job boards and website blogs and forums to find and attract candidates. The social media recruitment is an important trend in 2019 job hiring philippines as it is much more than just posting the job vacancies on your company’s social network handles. It can be used to proactively search for the potential candidates, develop a relationship and motivate them to apply for your job vacancies. 8. Employee Referrals – Employee referral programs are a hit since long and this trend will continue in 2019. The referral programs are productive in hiring talent. It is a proven fact that the candidates hired through the employee referral programs take the shortest time to join and require less remuneration. 9. Recruitment Automation Tools – The use of recruitment automation tools is again the latest trend in the recruitment process. The recruitment automation tools are software that uses new technology to automate the recruiting process. The automation of the recruiting process has been around for a while, but now it will go beyond HRIS, Applicant Tracking System (ATS) and Recruitment Marketing Software. These tools help in finding, attracting, engaging and converting the candidates into applicants. They also streamline and simplify the hiring process making it faster and efficient. 10. Collaborative Hiring – Collaborative hiring is a method in which teams from different departments collaborate with the HR department to find and hire talent. This significantly improves the quality of the hires. Apart from these structured interviews, strategic alignments are also becoming a popular trend for 2019 recruitments. Take your recruitment strategy to a new high this year with these trends and find and hire the best candidates.